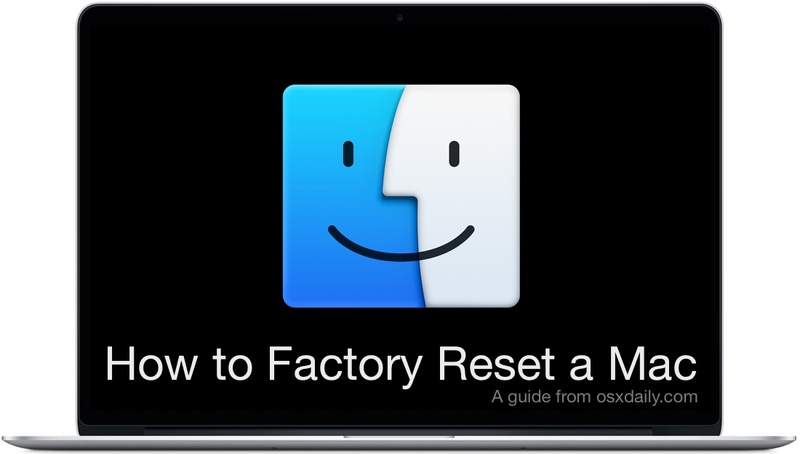 This guide walks through exactly how to reset and restore a Mac to original factory settings. Resetting a Mac to factory settings involves erasing the Mac hard drive and then reinstalling MacOS or Mac OS X system software onto the computer. The result is that all personal data will be removed from the computer completely and a fresh reset original version of Mac OS system software will be installed on the computer, just like the computer was new and how it originated from the factory again (thus why this is called a factory reset). 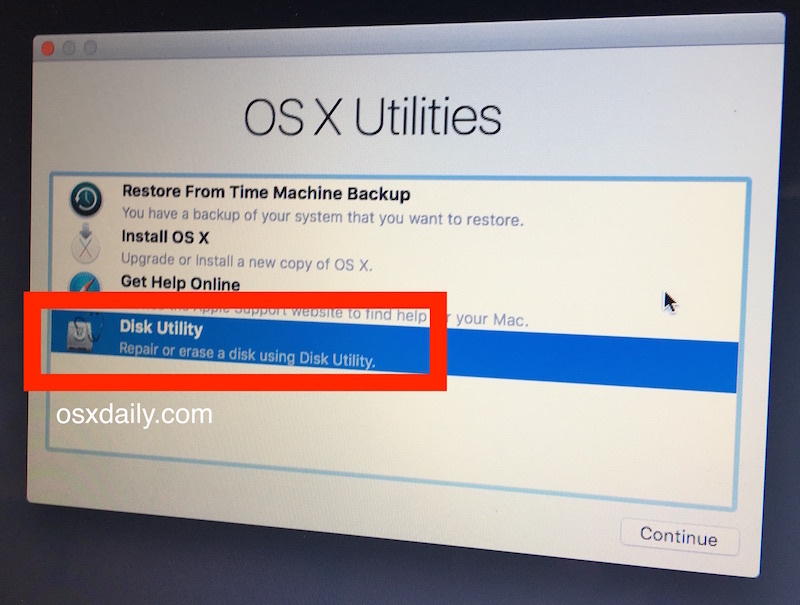 This reset and restore method is the same with every Mac computer out there, including iMac, MacBook Pro, MacBook, MacBook Air, Mac Mini, and Mac Pro, as long as the Mac is running a somewhat modern version of Mac OS system software with recovery mode support. You can also perform the exact same actions as described here from a boot USB disk if you have one. Note the difference between a reset of the Mac and a simple reinstall of system software: a true factory reset of a Mac as we’ll show here, is that the computer is erased clean of any and all data entirely, and then a new factory installation of Mac OS X system software is installed on the computer. 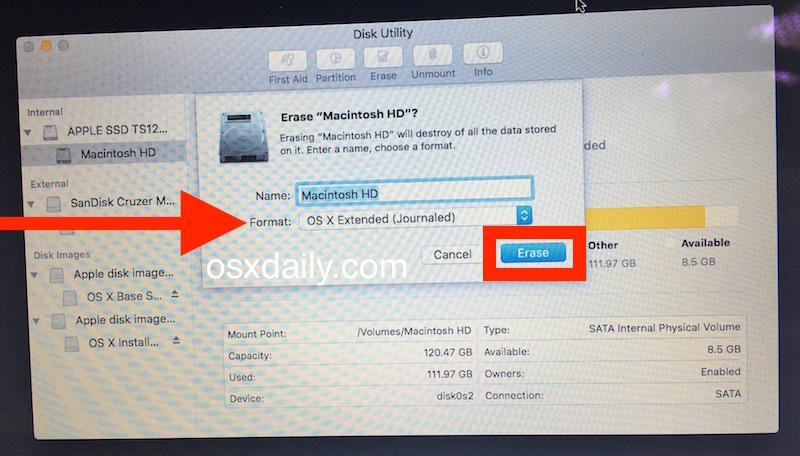 The initial erase and data removal process is how this primarily differs from simply reinstalling OS X system software on the Mac without formatting the Mac to begin with, which would maintain files and apps and user data, whereas the factory reset completely removes everything and starts fresh. WARNING: This will completely erase everything on the Mac, no personal files will remain, no apps, nothing, the Mac will be completely formatted and wiped clear, and the only thing left will be the factory reset stock version of MacOS or Mac OS X system software, just as if the Mac was new. Be sure you backup any and all personal files and data that you care about before starting this process, if you do not back up your personal data and files they will be permanently lost as this process erases the Mac and resets the computer to factory default settings. Do not skip backups of your stuff! 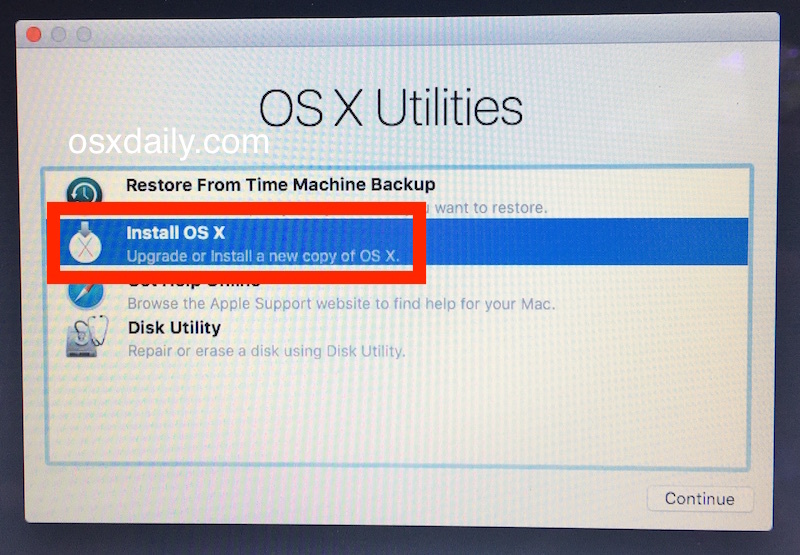 If you want to completely erase the Mac and get a factory reset Mac OS X version that is blank and back to default settings as if the computer was brand new, this is the process to achieve that. 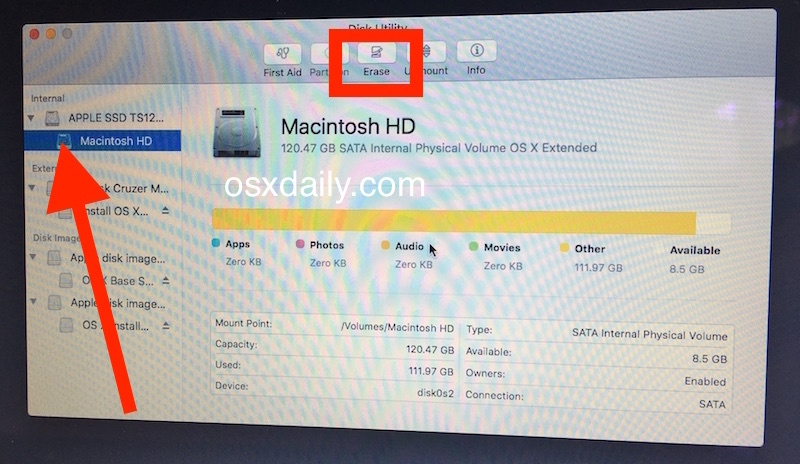 This will reset Mac to the factory default version of Mac OS X on the computer, everything else will be removed in the process. That’s all there is to it, the Mac will finish installing Mac OS X onto the computer and when finished it will reboot automatically into the fresh factory reset version of everything. If you are giving the computer away or selling it or otherwise transferring ownership, you’ll likely not want to fill out any of the setup details and instead when the Mac has completed the factory reset you’ll want to just shut it down and let the new owner take over. On the other hand if you are setting it up yourself, go ahead and go through the initial setup process, it will be just like it was when the Mac was brand new, requiring setup of the user account and system software, setting up as a clean slate of factory default settings. No personal data will remain on the Mac, no apps, no files, nothing, it is entirely wiped clean of all data and then a fresh factory version of Mac OS X system software has been installed. This is not a reversible process, which is why it’s so important that any personal data you want saved was backed up first.